This post will be short and sweet -- wishing all my fellow Canadians a happy turkey weekend with a massive bowl of roasted autumn veggies. The colours are perfect for a festive table, and the dish can easily be made ahead of time -- ideal when the oven is already in use. 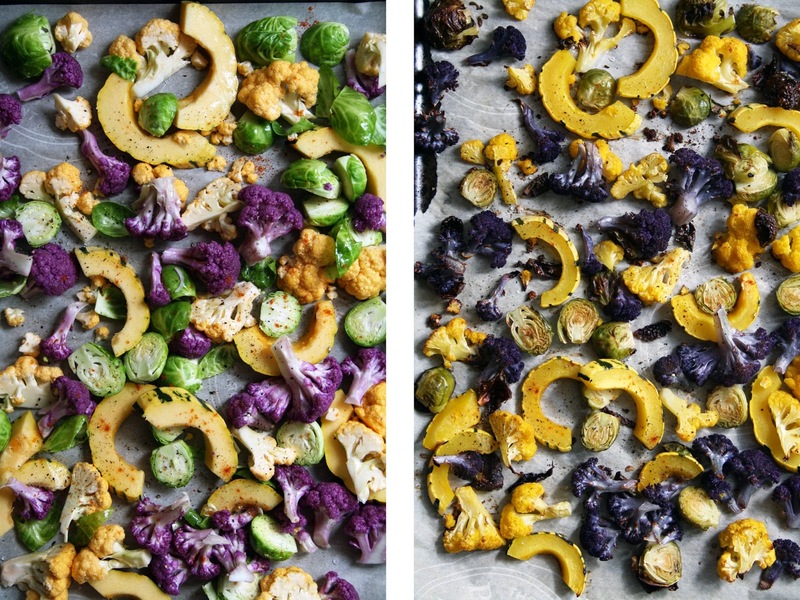 If you can, pick the prettiest, most colourful veggies you can find and get roasting. Happy Thanksgiving folks! This is a perfect side dish to accompany any autumn dinner, Thanksgiving included. Alternatively, toss in 1 cup of cooked quinoa or a can of white beans and a squeeze of lemon juice for a hearty lunch time meal. Combine the cauliflower florets, brussels sprouts and squash in a large bowl. Drizzle with olive oil and spread onto 2 parchment lined baking sheets. Sprinkle with cayenne, salt and pepper. Roast the veggies for roughly 30 minutes, until the edges are browned. Transfer to a large serving bowl. While the veggies are roasting, prepare the relish. Mix the pom seeds, oj, horseradish, salt and pepper in a small bowl, and stir to combine. 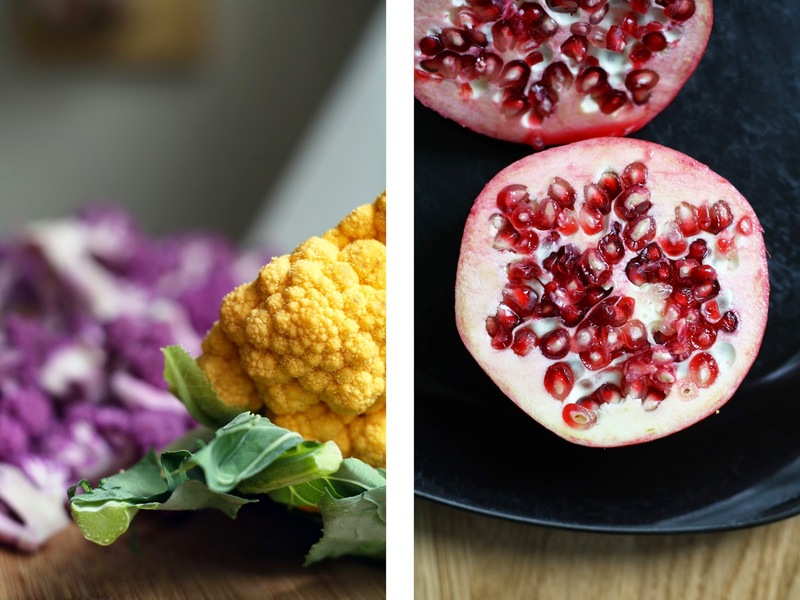 To serve, toss the warm veggies, sliced radish and pomegranate relish. Serve immediately.